The MS-3 Laser scanner is the performance leader in Microscan's MS-3 trio that also includes the MS-3 CCD and the MS-3 Engine. At 1,000 decodes per second, the MS-3 Laser offers the fastest read performance in the class of embedded compact barcode scanners. The wide scan angle of 70 degrees coupled with ultra-compact size and flexible mounting make the MS-3 Laser the optimal choice for high-speed reading in OEM instruments. High performance and flexibility are designed into virtually every aspect of the MS-3 Laser. Optics are factory-adjustable and our feature-rich firmware can be customized to satisfy almost any application. 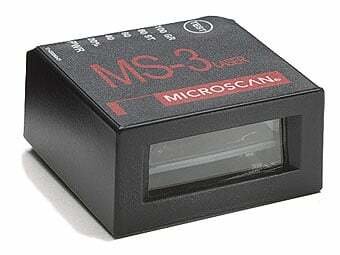 The Microscan FIS-0003-0038G is also known as Microscan Systems	FIS-0003-0038G	or FIS00030038G	.